Book News: Jonathan Franzen's New Novel Poised For September Release : The Two-Way The book, titled Purity, promises an expansive sprawl and familiar themes, but also a few stylistic experiments. Meanwhile, Texas gears up for a hearing and final vote on much-debated textbooks. Jonathan Franzen, pictured here at The New Yorker Festival Fiction Night in 2009, won the National Book Award for his third novel, The Corrections. Say one thing about Jonathan Franzen: He doesn't shy from an ambitious book title. Fresh off Freedom in 2010, Franzen plans to release a new novel next September — the modestly titled Purity. The novel, Franzen's fifth, appears to be no less ambitious in its content. Focused on a character named Purity Tyler, a woman on the hunt for her father's identity, the book is likely to be something of a sprawl, covering multiple generations and continents in its exploration of family. In these respects, Purity offers an extension of themes important to Franzen's past work. 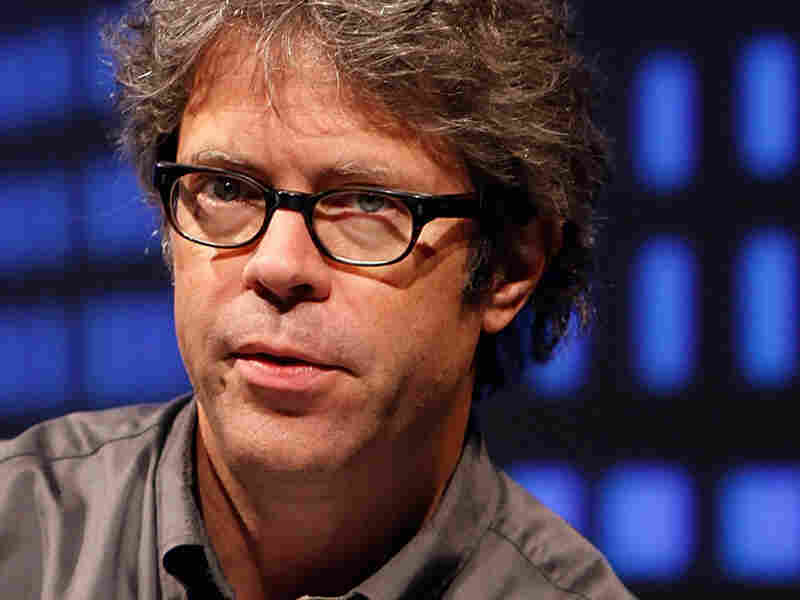 But The New York Times reports that Franzen will be experimenting with his typical style, too. "There's a kind of fabulist quality to it," Jonathan Galassi, the president of Franzen's publisher, Farrar, Straus & Giroux, told the newspaper. "It's not strict realism. There's a kind of mythic undertone to the story." Purity isn't the only book cover on which you can expect to find Franzen's name in 2015. The author will be the subject of Philip Weinstein's biography, Jonathan Franzen: The Comedy of Rage — which, in what is surely a happy coincidence, is also due for publication next fall. Textbook Duel: In Texas, the State Board of Education is expected to hold a hearing Tuesday and a final vote later this week on whether to approve more than 100 social studies, history and geography textbooks for use in the classroom. The debate over the textbooks has proven so divisive that it's drawn national attention. The Associated Press concisely lays out both sides of the argument: "Academics and activists on the left have criticized the books for exaggerating the influence of Moses and other biblical figures on American democracy. Conservative experts, however, complain that they are too politically correct, ignoring connections between radical Islam and modern terrorism." And why does the rest of the country care? "Texas is such a large textbook market that it sometimes affects books used elsewhere," the AP reports. Get Truthy: Stephen Colbert is getting his own comic book. That's all that needs saying, I suppose. Vaper Tale: In case you missed it — or let it go up in smoke (eh?) — Oxford Dictionaries picked "vape" for its word of the year. NPR's own Bill Chapell reported on the news, explaining, "The word can apply both to breathing an e-cigarette's vapor and to an e-cigarette device." "This year 'vape' also served as an insightful window onto how we define ourselves," said Casper Grathwohl, president of the Dictionaries Division at Oxford University Press. For those following along at home, for better or for worse the words that we've used to define ourselves this year are: vape, "photobomb" (picked by Collins English dictionary) and "overshare" (picked by Chamers Dictionary). The Emoji Evolution: If the news above moves the cynics among us to abandon words altogether, well, they have an alternative: the emoji. In New York Magazine, Adam Sternbergh looks at the impressive development of the form, this tiny hieroglyphic of our era. "This elasticity of meaning is a large part of the appeal and, perhaps, the genius of emoji," writes Sternbergh. "These seemingly infantile cartoons are instantly recognizable, which makes them understandable even across linguistic barriers. Yet the implications of emoji — their secret meanings — are constantly in flux." Lost In Translation: On the eve of the National Book Awards, Mark Krotov lodges an argument for a lost prize: the National Book Award for Translation. On the Melville House blog, Krotov claims the translation prize was an unnecessary victim of the NBAs' seismic changes in the '80s — and says there's no better time to bring it back. "The prize was a model of award-as-activism," Krotov writes. "Its administrators leveraged the National Book Awards' clout in service of a category of literature that desperately needed popular attention and validation."